Square fonts customize reader to the business. They look very presentable and official. Most often square fonts are used in marketing, advertising and office presentations. 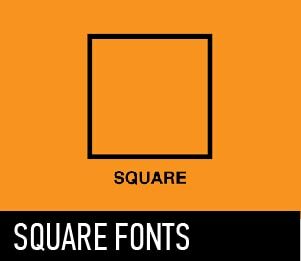 Most square fonts do not have serifs, so it is convenient to use them in Internet projects and web design, as well as in logo design.